Coal is fossil fuel which has vast reserves. Sources of coal are from around the world, more than 100 countries. Therefore, supply of coal is certainty resulting to lower price relative to other fuels, especially natural gas and fuel oil. The properties of coal can be classified as shown in below table. From the table, the highest rank of coal quality is Antracite, followed by Bituminous, Sub-Bituminous and Lignite respectively. However, the Company imports only Bituminous and Sub-Bituminous as these are good quality coal, moderate calorific value, also have the suitable level of ash and moisture and low sulfur compared with fuel oil (fuel oil has sulfur about 0.1-3.0 percent) causing to decrease the air pollution. However, Lignite is the lowest rank and has the highest level of sulfur affecting to environment, hence this is not suitable for utilization. The air quality standard about smock stack determined by Ministry of Industry, dated May 9, 2005 to limit the sulfur dioxide level not more than 700 ppm (part per million). Nevertheless, imported coal of UMS provides sulfur dioxide less than 100 ppm. Therefore, coal from UMS is not the cause of pollution refer to the standard of Ministry of industry. 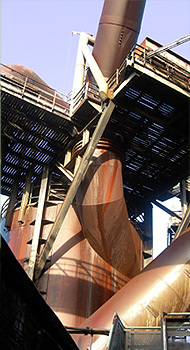 Among the recent situation, industrial factories need to reduce the production cost to increase the competitiveness, so many industries begin to consider using coal instead of fuel oil, however, industrial operators need to invest in new boiler which is an advantage for long term because their fuel cost can be reduced by 50 percent per year comparing to fuel oil cost. From records in the history about all effects to our customers (for instance: fuel cost, operating and maintenance cost for boiler), payback period were about 9-24 months depending on the coal consumption quantity and types of boiler. This is worthwhile for the investment.